When you've decided to make Dunedin your location of choice for your upcoming wedding, party, event or corporate function, you've made the right decision. As the second-largest city in the South Island, it's a hive of activity with exceptional nightlife, views, plenty to do and mind-blowing culture. It's the seventh-largest urban area in New Zealand, and rates highly for its history, culture and geography. From the hills which show signs of volcano activity in days gone by, to the stunning views of the Otago Harbour extending out to the Pacific Ocean; it's a magical spot worthy of any wedding. When you begin planning your Dunedin wedding, you will start to see just how magical this location is. Dunedin is also located conveniently close to Queenstown, Wanaka and Central Otago. For Dunedin couples wishing to venture out of the beautiful Dunedin for a change of scenery, Nightlife DJs are more than happy to follow. They are more than just Dunedin Wedding DJs, they help any Dunedin couple make their wedding one to remember by providing their wedding DJ services in Southern Lakes or Central Otago as well. Now that plans are underway for your dream Dunedin wedding, it's time to look at entertainment. 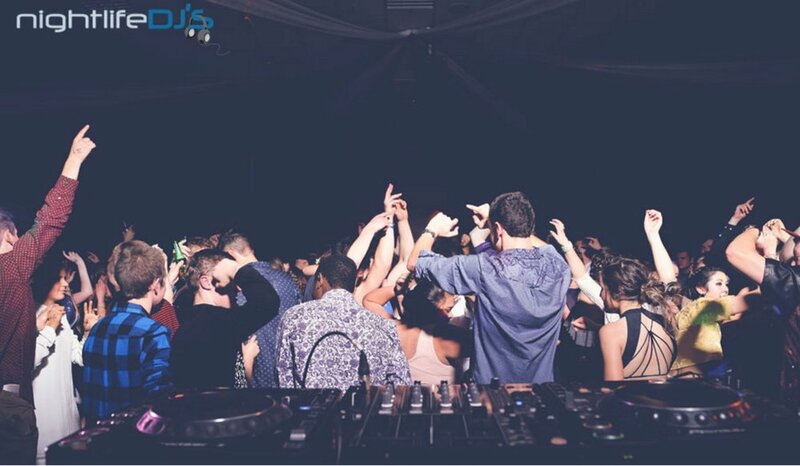 The team at Nightlife DJs are proud to be the preferred Dunedin wedding DJs, ready to cater to your every DJ and entertainment need at the Dunedin wedding venue of your choice. We know you expect only the very best when it comes to choosing your wedding DJ, and that's exactly what we offer. Our Dunedin based team is made up of only the best qualified audio engineers and professional DJs. We use industry standard equipment to provide the best form of entertainment, and aim to make your Dunedin wedding go as smoothly as possible. We are more than just your average wedding DJs, we offer the full entertainment package. From lighting, sound systems and wireless microphones for speeches, through to LED fairy light curtains for behind the head table, projectors for slideshows and so much more; if we don't have it, it's not worth having. We pride ourselves on being professional Dunedin wedding DJs, and we look forward to making your wedding reception one that gets everyone on their feet to dance! Have you found the perfect venue? Nightlife DJs look forward to playing at a variety of Dunedin wedding venues, and there are some great options on the table. Glenfalloch is a great choice for those looking for flexibility, class, elegance and spectacular views. The friendly team are able to cater to many budgets and themes, and have delectable menu options to seal the deal. Another good option is Grandview Gardens. Located at the foothills of the Maungatua, Grandview Gardens is a breath-taking location with so much on offer for any couple looking to get married in Dunedin. Not only has it won Top Wedding Venue in the South Island in 2015, but it also has beautiful backdrops for photos, and provides the perfect entertainment setting for our wedding DJs. The epitome of flexibility, the Dunedin Centre also provides a range of wedding options. This includes the Town Hall, Glenroy Auditorium for reception venues. Spacious with plenty of room for your guests to get on the dance floor to entertainment provided by our wedding DJs, it's the perfect choice. When you've made your way to Dunedin to take advantage of the gorgeous wedding venues, photo hot spots and top Dunedin wedding DJs, there is sure to be time left over for a little leisure. Why not check out some of the great activities and experiences on offer? The Forsyth Barr Stadium is a great location when it comes to concerts, sports games and big events. Treat your wedding party to a special treat, or why not take them out for a night on the town? 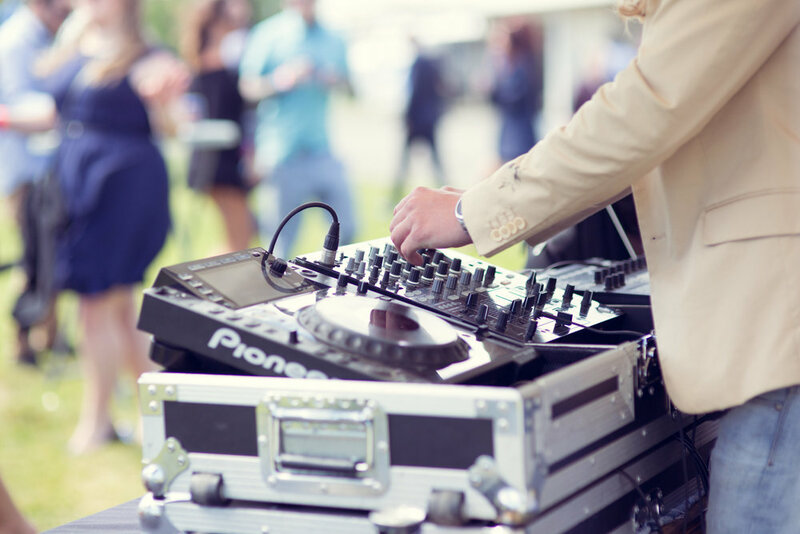 Once they've danced the night away to entertainment provided by our professional wedding DJs, they are sure to get their groove back on for the many pubs and bars in the inner city. There's also the option of taking a tour through Speights Ale House which is located on Rattray St, Dunedin. Or what about The Toitu Otago Settlers Museum or The Royal Albatross Centre or a work out on Baldwin St, the steepest street in the world? While you're in Dunedin for the wedding of your dreams, there are so many entertainment options.